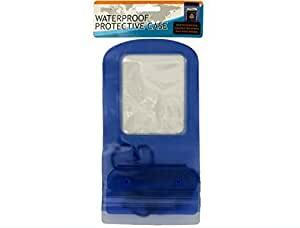 Ideal for protecting important documents from water damage while traveling and outdoor activities, this Waterproof Protective Case features a durable blue plastic case with a 4″ x 3.25″ transparent window, zipper seal top and adjustable nylon carrying cord. Measures approximately 9″ long x 5″ wide with a 21″ long carrying cord. Comes packaged in a poly bag with a header card.